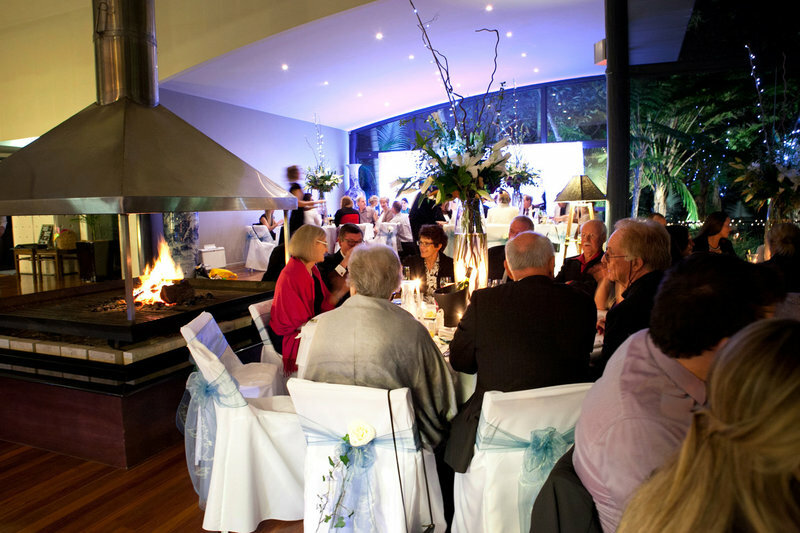 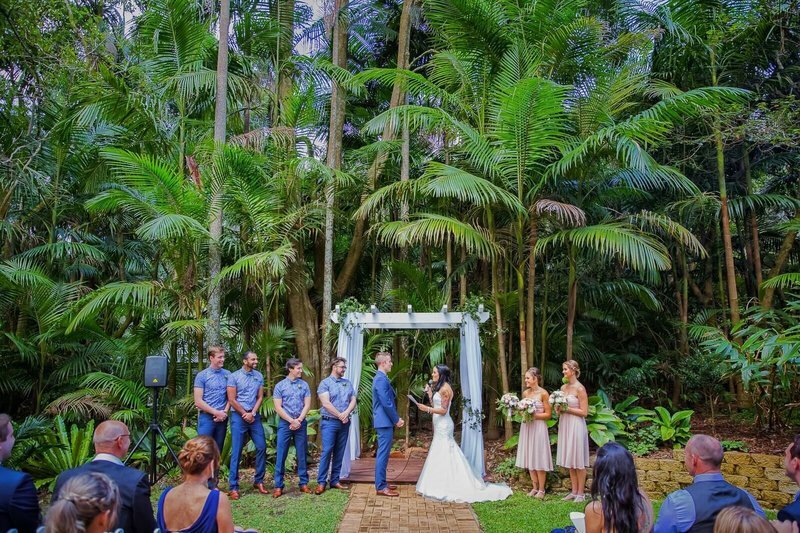 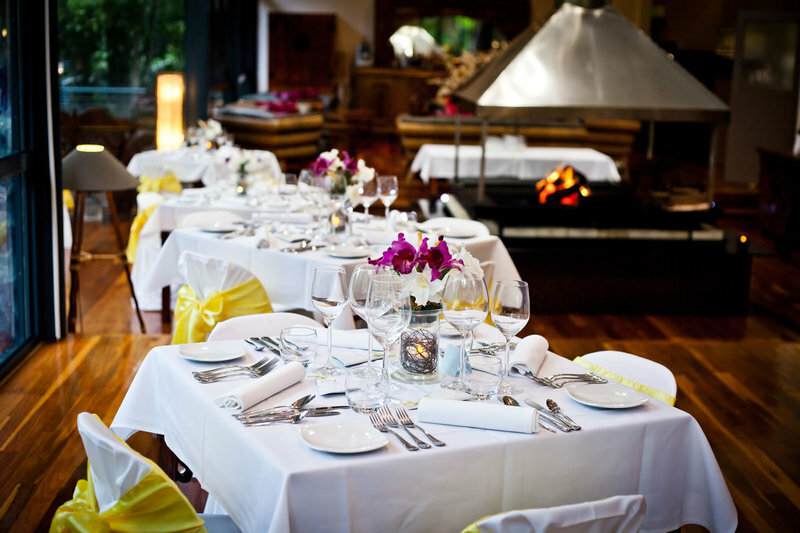 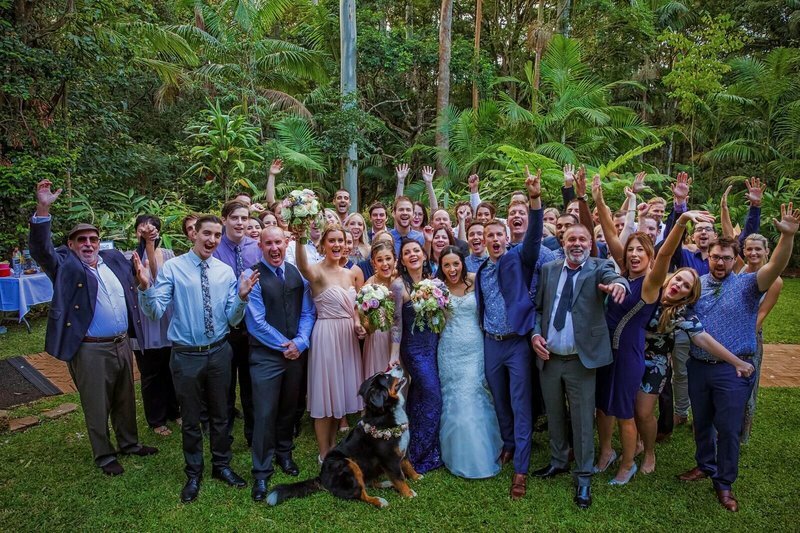 Pethers Rainforest Retreat is a spectacular boutique wedding venue and offers a truly magical rainforest setting that will complement your special day. 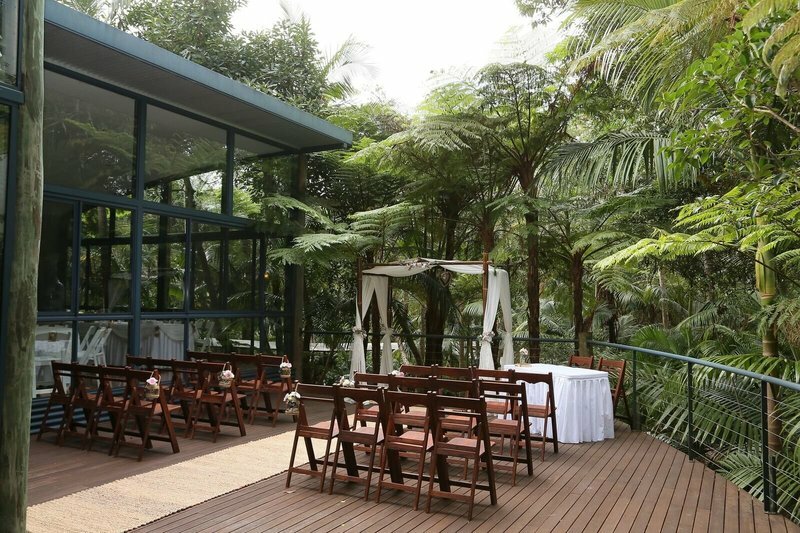 The retreat offers the perfect venue for small intimate weddings of up to 85 people banquet style or up to 100 people cocktail style. 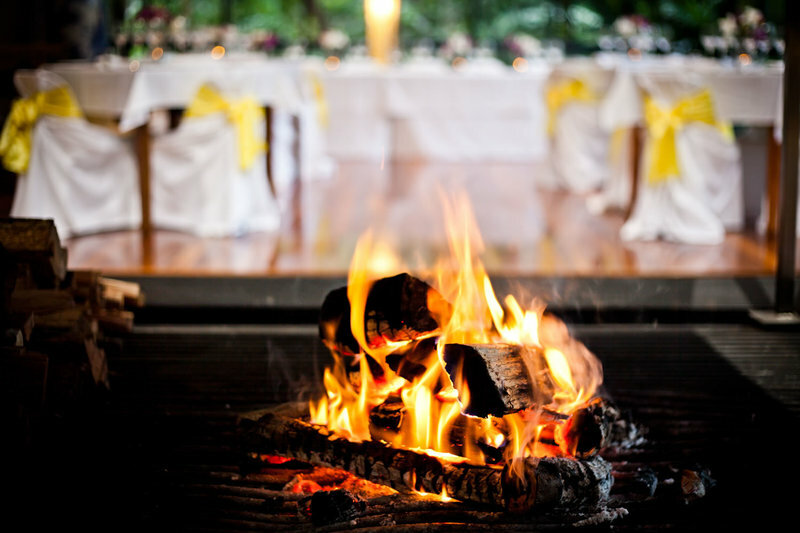 With 10 individual and private tree houses, the retreat can accommodate up to 20 people twin share. 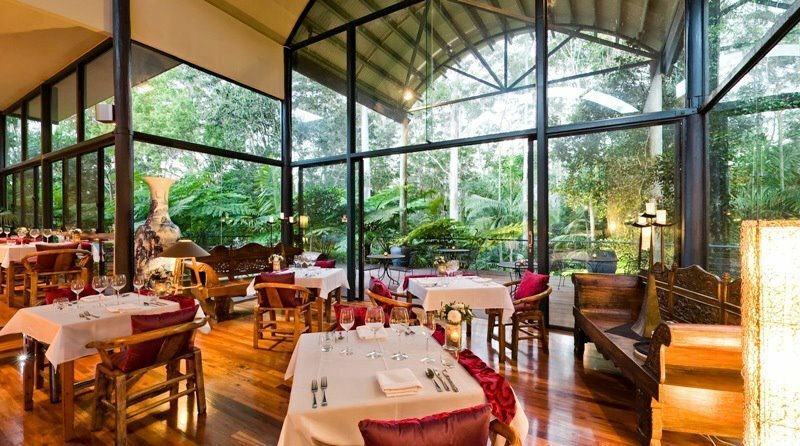 Our restaurant serves the finest cuisine, using only the freshest ingredients and is set beneath a towering ceiling which curves seven metres towards the rainforest canopy outside, offering a spectacular view. 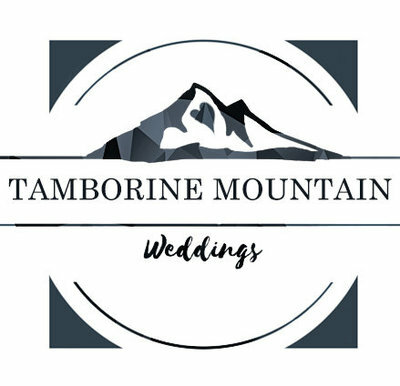 We would love to discuss your wedding ideas with you personally so please to contact us to arrange a meeting to discuss your requirements. 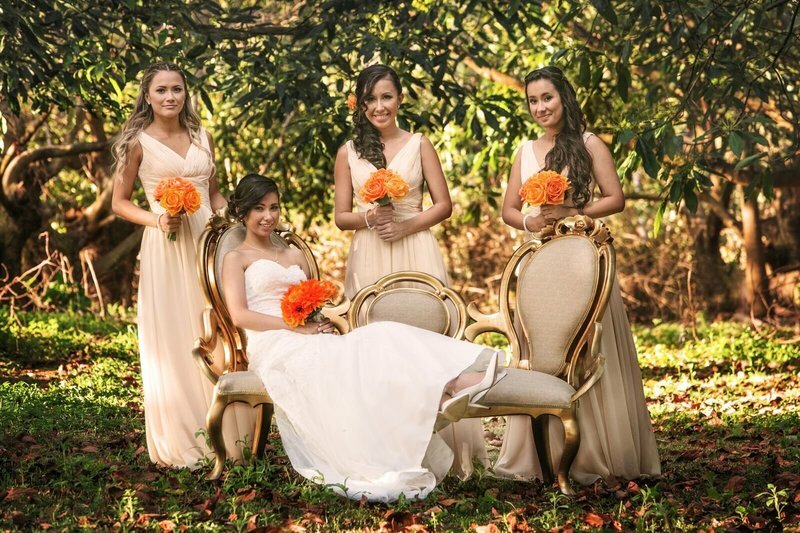 Together we can create an unforgettable wedding experience for you. 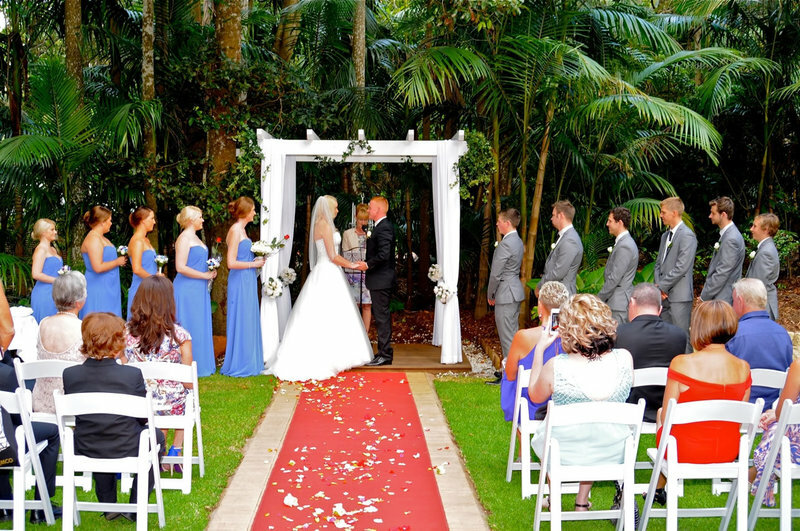 Our newly created Wedding Garden area has won rave reviews and features a manicured lawn and wedding gazebo, and comes complete with red carpet and white fold out chairs. 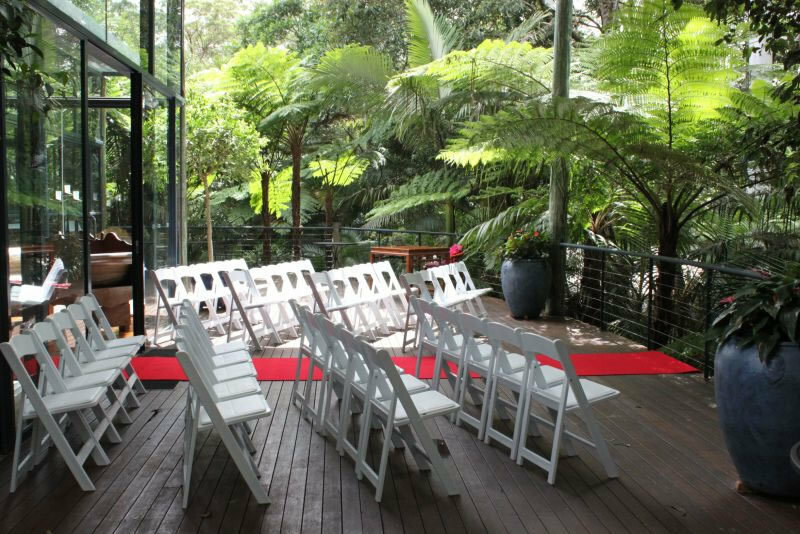 This area is enveloped by a majestical rainforest...the perfect place for your wedding ceremony.